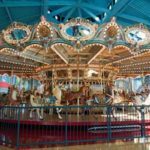 Whenever children go to a carnival, or the local fair, they can help but go to the merry-go-round, a place were most kids gravitate to, which is why they are typically placed out in front. Some of them are very large, holding as many as 50 people at a time, whereas others are much smaller. 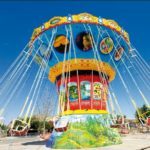 The reason that kids love these rides is because they go around in a circle, and they can also ride on their favorite animal as they are going around. 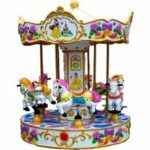 Here’s what you need to know about him merry-go-round’s and the many different carousel animals, some of which are favorites with most kids today. A merry-go-round, or a carousel, is a circular device that is found at most state fairs and carnivals today. They are designed to spin in a circle, going either clockwise or counterclockwise, and they have a host of different animals that are attached by polls. The polls will go up and down, allowing the children to feel like they are actually writing one of these animals. 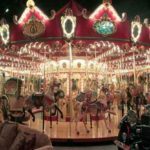 They typically go very slow, though the larger ones tend to spin faster because the circumference, at a regular speed, would appear to make it a very slow ride. According to most statistics, the most popular animal that is used by kids is either the horse or the zebra. 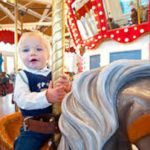 For some reason, kids love to ride on horses, and this is followed up by those that look like giraffes, ostriches, elk, tigers, and even little dogs. If you have children, you will definitely know which one is their favorite the moment that you take them because they will automatically get on their animal of choice. 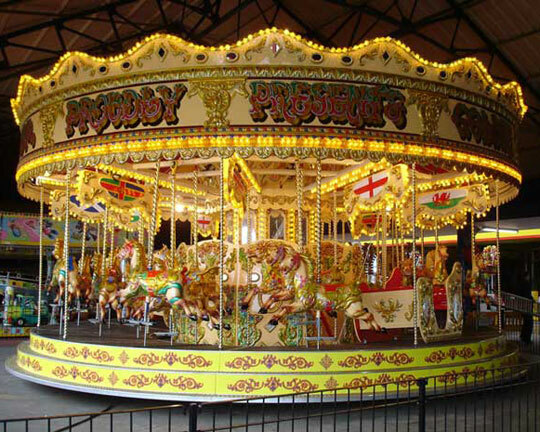 Each child is different, which is why there are so many different animals on each of the carousels, offering every child a choice once they get on board.